The site name is Wool and Wood. The Wool is for Lela's hobby of knitting. The Wood is for Bill's hobby of woodworking and cabinet making. Check back frequently as we add more to our new webpage. 6/1/2002: Just added another sock pattern page with the picture of a new sock and a link to its pattern. Check it out. 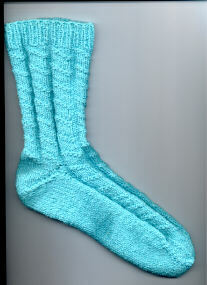 My first venture into sock designing was a pattern I gave to the Knitlist, Christmas 1996. Click on the link that follows to go Martha's Semi-slouch Socks. 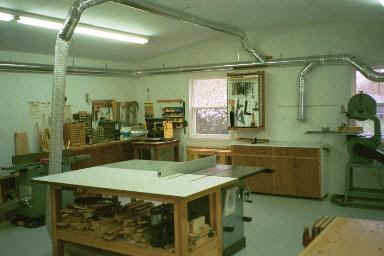 Look on the Wood Shop Page for more pictures of the Wood Working Shop.